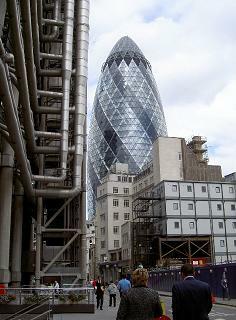 The building has got the nickname since It looks like a gherkin. 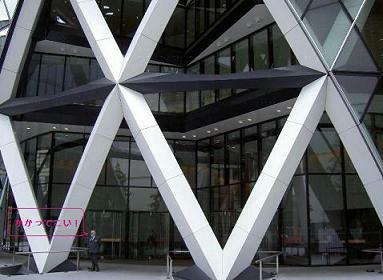 This building was designed by an English master architect, Norman Foster. His famous works are, Hong Kong International Airport、HSBC Headquarter building. 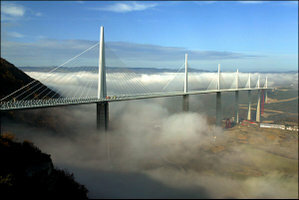 Recently he designed a viaduct in Millau in France. It the tallest viaduct (341m) in the world and it is 2.5 kilometer long. I would love to see it in future. This building is not open for public. If you try to enter, you will be stopped by this dude. I could see it from an aeroplane.